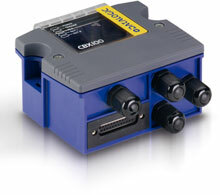 Datalogic CBX Series - CBX100LT Conn. Box Compact Low Temp. Priced per unit. 5 week lead time. The Datalogic CBX Series is a connectivity device designed to simplify and speed-up cabling operations during the installation of Datalogic Automation devices. Thanks to its modular concept and the complete range of optional modules, any installation, configuration and maintenance operation is now accomplished faster than ever. The Datalogic 93A301069 is also known as Data Logic	93A301069	.